This is such a catchy tune and having just seen the video I can say it actually compliments the song. Sometimes you here a song and the video makes no sense, but I loved this one. It is colourful, crazy and will leave you humming the tune for a while after. Enjoy! Just sayin the straight jacket suits PINK ! 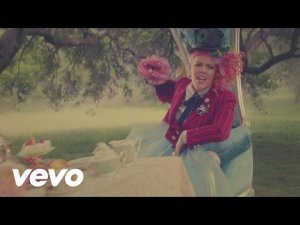 A very good music video in the set design costumes and story line. She is a great artist and a real artist as well. It's quite a good track but doesnt blow my socks off so it's needing the video for my replay.